As your Listing Agent (sometimes called a Sellers Agent) we’ll guide you through the entire process of pricing, marketing and selling your home to make it as smooth and painless as possible. Before we list your property on MLS, we’ll prepare comprehensive market analysis to evaluate similar homes that are already on the market, have sold recently or been taken off the market. After we arrive at an optimum listing price we’ll develop a custom marketing plan tailored to your property and your needs. Once we have a buyer, we’ll help you negotiate the best price and terms walk you through the closing process. Throughout it all, we’ll be your objective advocate always looking out for your best financial interests. Why choose Coletta Cutler Realty as your Listing Agent? As your Buyer Broker (sometimes called a Buyer Agent) we represent only you — providing objective, zealous and confidential representation to help you navigate the entire buying process. A Buyer Broker has a fiduciary duty to look out for your best interest and negotiate the best price and terms. If you were fighting in court would you want to use the same attorney as the opposing side? The same logic applies here. A Buyer Broker levels the playing field. As a Buyer Broker, we are compensated through the same seller-authorized commission split offered to any agent who brings a buyer, so we do not collect any fees from you. If you are contemplating buying a property there really is no good reasons not to have a Buyer Broker on your side. Why choose Coletta Cutler Realty as your Buyer Broker? Here at Coletta Cutler Realty, our owner/brokers are licensed attorneys* with years of experience in land use planning and real estate negotiation. We bring a unique breadth and depth of knowledge to your side to help make your transaction a successful one. What are the communities we serve? 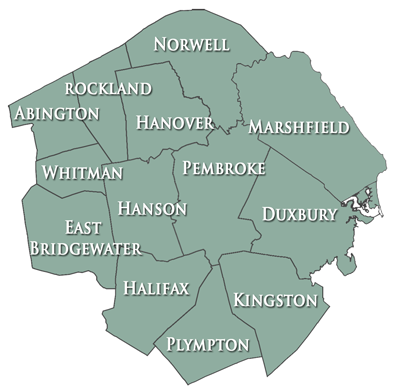 Our focus area is the heart of Plymouth County, including the communities of Abington, Duxbury, East Bridgwater, Halifax, Hanover, Hanson, Kingston, Pembroke Plympton, Marshfield, Norwell, Rockland and Whitman. * Coletta Cutler Realty, Inc. is not a law firm, and, although some of our brokers and agents may be licensed attorneys, we do not provide legal advice to our clients.